Fort Davis, a quick thirty minute drive north of Marfa (in which I towed Loretta for the first time! 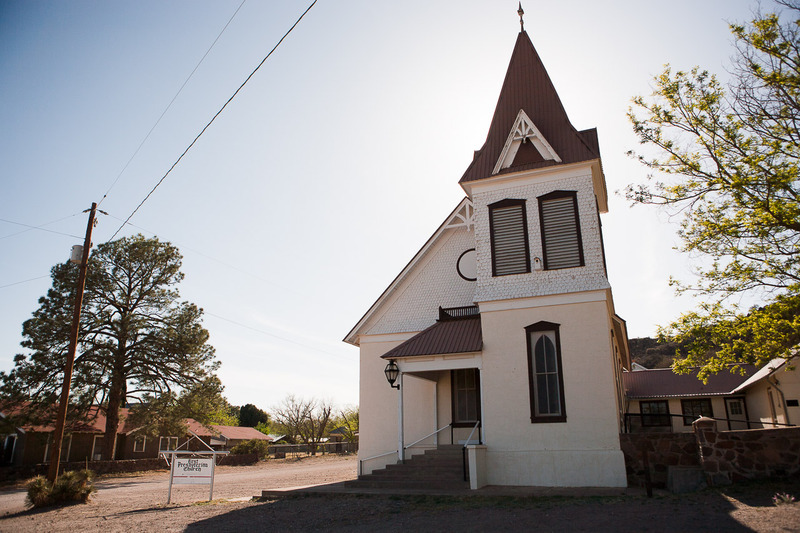 ), prides itself in being the highest city in Texas at just over 5,000 feet. The dramatic Davis Mountains surround the town of 1,000 people and provides some visual interest in the endless flatness of West Texas. We were in Fort Davis for two reasons. The first was to go to a Star Party at the McDonald Observatory, which sits high up in the Davis Mountains, far away from any light pollution. 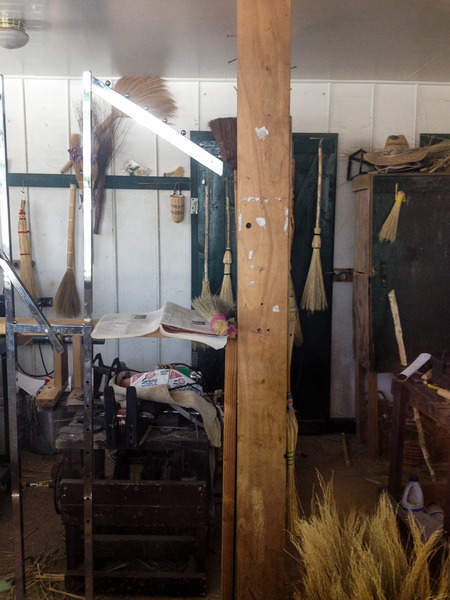 The second was to visit Ron Cox, the Broom Maker on Main Street. We stayed at a crowded little RV campground in the middle of town and after a stroll down the three-block-long Main Street, we discovered that the Broom Maker's shop was next door to us. My parents had recently visited Fort Davis and had come across the Davis Mountain Broom Company by chance. My dad bought a hand broom from Mr. Cox (the best broom he's ever owned) and said that listening to the stories he told while expertly handcrafting each broom was the best part. No brooms for us. Get well soon Broomsquire! 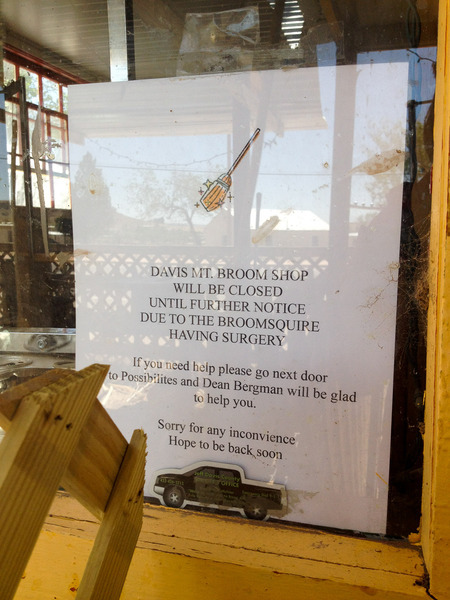 We walked through the gate of the little house only to discover a locked door and a sign in the window explaining the shop would be closed until further notice, due to the Broomsquire (what a fantastic title to have) having surgery. After peeking inside at the half-finished brooms, Shaker-built machinery and bundles of broom corn, we sadly returned to the trailer. We were looking forward to meeting the craftsman who maintains a centuries-old tradition while casually story-telling. Next time, I suppose. That same night was the Star Party. "Party" is a relative term; McDonald Observatory's definition is allowing a group of paying astronomy enthusiasts/tourists to come to the observatory after dark to gather in an outdoor theater to listen to an astronomer talk about the stars in the sky, pointing to them with a high-beam laser pointer. Not to discredit the Star Party, it was awesome. We learned about the constellations in the current sky, how to find the North Star and afterwards, got to look at Jupiter, Saturn and various star clusters through some really serious telescopes. Afterwards, we drank hot chocolate from the concession stand to warm our bones before driving back down the winding roads of the Davis Mountains. On our last day in Fort Davis, we took Bulleit for a walk around Main Street. From across the street we spotted a man walking a huge, wolf-like dog that we had to go check out. We crossed and struck up a conversation with the guy; it was indeed a wolf. An Alaskan tundra wolf to be exact. He has two of them and had raised them since they were puppies. This wolf, whose name was Mr. Ratchet, was twice the size of Bulleit (who is not a small dog) but is just as well behaved as any domesticated dog, if not better. We were amazed at the juxtaposition between Mr. Ratchet's calm demeanor and his wild heritage. 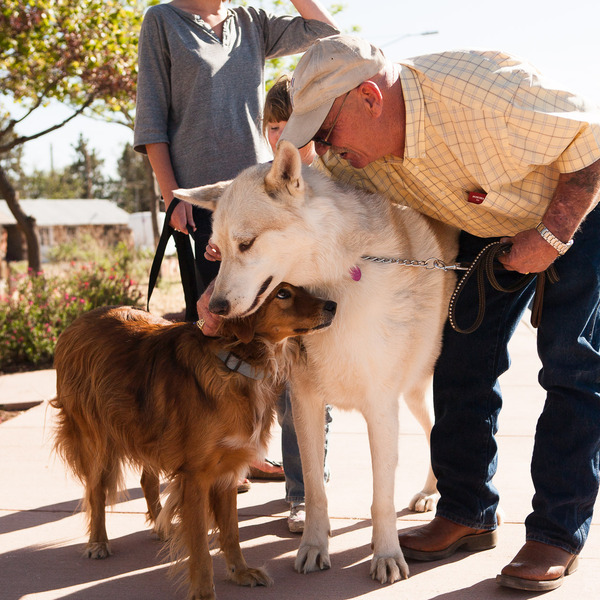 But perhaps more amazed that we saw a wolf walking down the streets of Fort Davis! 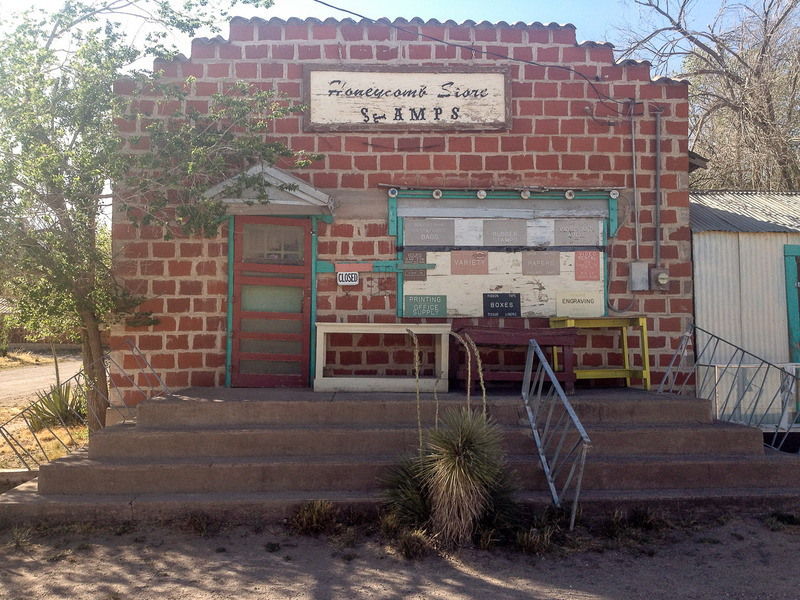 The town stamp shop. Fort Davis is full of cool old buildings, some in better condition that others. We really enjoyed our time in Fort Davis; the friendly and welcoming people we had the pleasure of briefly conversating with, the incredible tour of the stars at the McDonald Observatory that appealed to our nerdy selves, and the of-an-earlier-time traditions that the people of Fort Davis seem to appreciate and maintain. Not to mention the beautiful mountain ranges that surround the town. I imagine it won't be too long before we return. Special thanks to Wayne C. (who suggested McDonald Observatory) and Cindy T. (who suggested Go to the observatory and sign up for a star party.) for making this blog post possible!